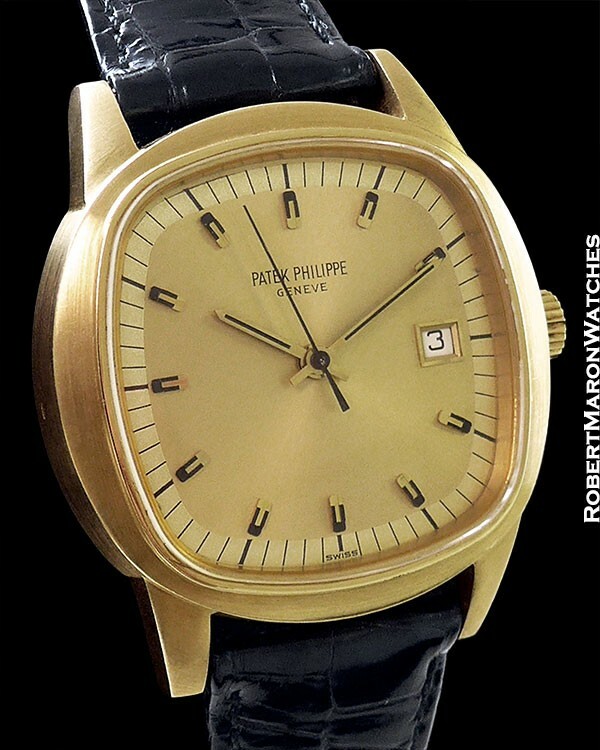 It is believed that no more than five Patek Philippe Beta 21 watches were ever made with lugs. 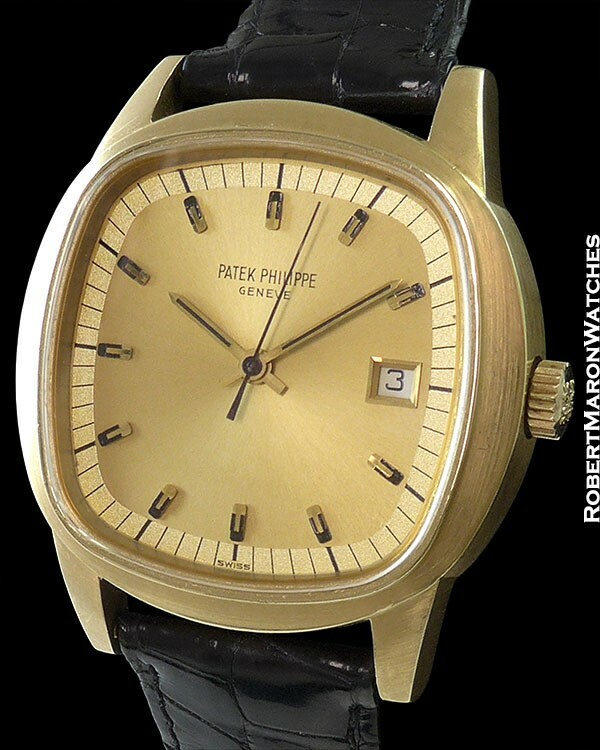 The most common version of Patek’s Beta 21 has a fixed bracelet. Beta 21s with removable bracelets are rare. The watches with case lugs are beyond rare. The Beta 21 movement was the fruit of a collaborative effort, named the Centre Electronique Horloger, which got underway in 1962 and was sponsored by over 20 leading Swiss watch brands. The prototype movement debuted in 1967. In 1968, a consortium of Swiss manufacturers pooled their resources and manufacturing capabilities to mass produce the calibers. The first watches containing the Beta 21 movement arrived on the market in 1970/71. This watch was made in 1972 and sold on July 31, 1972. The Beta 21 is an electronic caliber. The movement features a quartz crystal and interestingly, while the natural oscillation rate of the quartz crystal is 8192 Hz, Patek reduced the oscillation rate to 256 Hz by means of a proprietary frequency reducer. The seconds hand sweeps (versus the usual ticking of quartz regulated movements), and the caliber has 13 jewels. A date is provided at the 3 o’clock position. 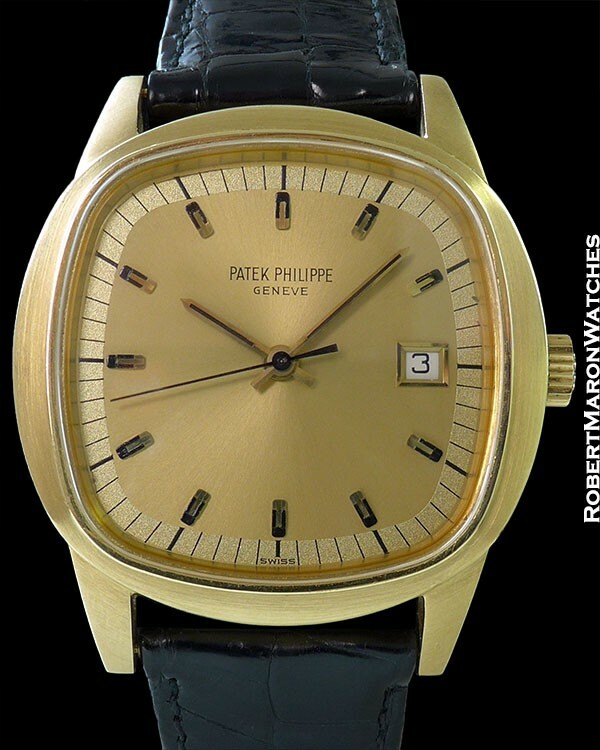 This reference 3587 Patek has a cushion shaped 18k gold case with the aforementioned extremely rare lugs, and measures 42mm long by 43mm wide by 11.8mm thick. Lug tip to lug tip the length is an impressive 50.5mm. Bezel is stepped. The crystal is sapphire and the case construction is two part. The screw down back on this case is practically a manhole cover! Original untouched two-tone gold dial with applied hour markers with inlaid black enamel, date window at 3 o’clock framed in gold, original gold baton hands with black enamel inlaid and center sweep seconds hand. Strap is Patek alligator and could possibly be the original strap. Vintage 18k Patek tang buckle. 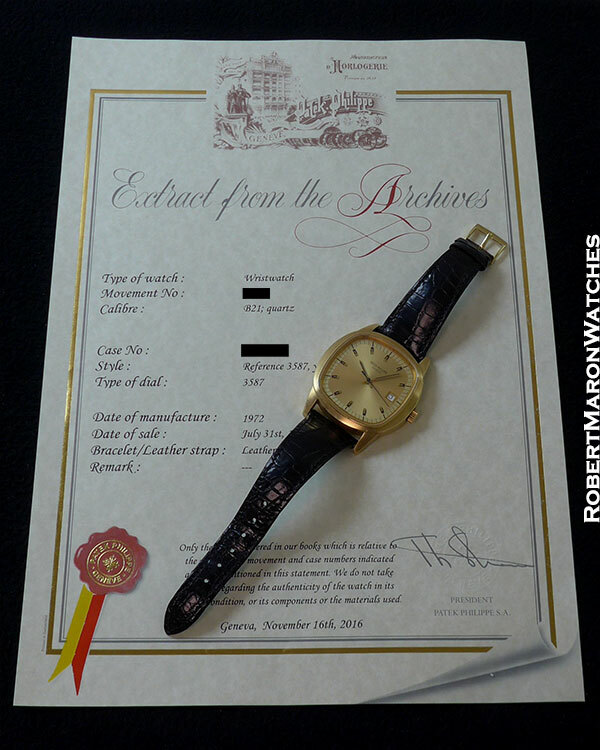 Watch is in mint+ original and possibly never polished condition with Extract from the Archives.